← Recipe: Agua Fresca de Melon or What to do with an under ripe cantaloupe? 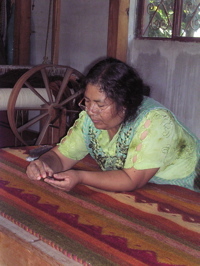 This entry was posted in Cultural Commentary, Oaxaca Mexico art and culture, Oaxaca rug weaving and natural dyes, Oaxaca travel, Teotitlan del Valle and tagged fiber arts, Grecas, Mexican carpets, Mexican rug designs, Mexican rug weaving patterns, naural dyes, pre-Columbian snail, textiles. Bookmark the permalink. Not a clue, Tom. Sorry. Hi Norma: I THANK YOU for all your valuable information. We leave Thursday, Jan. 13 and you know how excited I am. 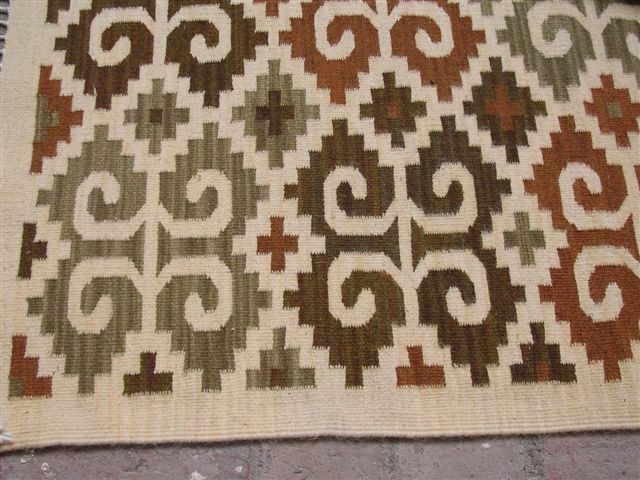 Have an appointment with Eric to show me the different between an authentic rug and a synthetic rug. Wow, this last year crept up FAST. I remember the first time you wrote to me! I am excited for you and know you will have an absolutely GREAT time. Give Eric a big hug for me. 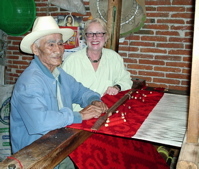 I am fascinated to know more about mexican weavers- where can I look?